2. Products, Content and Communications. When an order is placed, it will be shipped to an address designated by the You as the purchaser as long as that shipping address is compliant with the shipping restrictions contained on the Website. All purchases from the Website are made pursuant to a shipment contract. As a result, risk of loss and title for items purchased from the Website pass to you upon delivery of the items to the carrier. You are responsible for filing any claims with carriers for damaged and/or lost shipments. HnB takes all concerns related to intellectual property seriously. It is HnB’s policy, at its discretion and in appropriate circumstances, to cancel, disable or terminate any user’s account if she or he infringes, is alleged to infringe, or appears to infringe the intellectual property rights of others. If You believe that any Content on Our Website infringes any copyright, or any other valid intellectual property right, please provide the following information to HnB’s Agent. 9. Linking to the Website. Creating or maintaining any link from another Web site to any page on the Website without Ours prior written permission is prohibited. Running or displaying the Website or any material displayed on the Website in frames or through similar means on another Web site without Our prior written permission is prohibited. Any permitted links to the Website must comply will all applicable laws, rule and regulations. From time to time, the Website may contain links to websites that are not owned, operated or controlled by Us or Our affiliates. All such links are provided solely as a convenience to you. If you use these links, you will leave the Website. Neither We nor any of Our affiliates, service providers or suppliers are responsible for any content, materials or other information located on or accessible from any other Web site. Neither We nor any of Our affiliates, service providers or suppliers endorse, guarantee, or make any representations or warranties regarding any other Web site, or any content, materials or other information located or accessible from such Web sites, or the results that you may obtain from using such Web sites. If you decide to access any other Web site linked to or from the Website, you do so entirely at your own risk. YOUR USE OF THE WEBSITE IS AT YOUR RISK. THE MATERIALS AND SERVICES PROVIDED IN CONNECTION WITH THE WEBSITE ARE PROVIDED “AS IS” WITHOUT ANY WARRANTIES OF ANY KIND INCLUDING WARRANTIES OF MERCHANTABILITY, FITNESS FOR A PARTICULAR PURPOSE, OR NON-INFRINGEMENT OF INTELLECTUAL PROPERTY. NEITHER WE, HnB, NOR ANY OF OR RESPECTIVE AFFILIATES OR OTHER SERVICE PROVIDERS OR SUPPLIERS WARRANT THE ACCURACY OR COMPLETENESS OF THE MATERIALS OR SERVICES AVAILABLE ON OR THROUGH THE WEBSITE. THE MATERIALS AND SERVICES ON OR THROUGH THE WEBSITE MAY BE OUT OF DATE, AND NEITHER WE, HnB NOR ANY OF OUR RESPECTIVE AFFILIATES OR OTHER SERVICE PROVIDERS OR SUPPLIERS MAKE ANY COMMITMENT OR ASSUMES ANY DUTY TO UPDATE SUCH MATERIALS OR SERVICES. 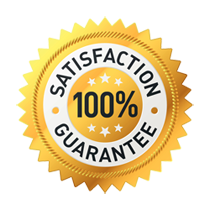 ALL PRODUCTS AND SERVICES PURCHASED ON OR THROUGH THE WEBSITE ARE SUBJECT ONLY TO ANY APPLICABLE WARRANTIES OF THEIR RESPECTIVE MANUFACTURES, DISTRIBUTORS AND SUPPLIERS, IF ANY. TO THE FULLEST EXTENT PERMISSIBLE BY APPLICABLE LAW, WE AND HnB HEREBY DISCLAIM ALL WARRANTIES OF ANY KIND, EITHER EXPRESS OR IMPLIED, INCLUDING, ANY IMPLIED WARRANTIES WITH RESPECT TO THE PRODUCTS AND SERVICES LISTED OR PURCHASED ON OR THROUGH THE WEBSITE. WITHOUT LIMITING THE GENERALITY OF THE FOREGOING, WE AND HnB HEREBY EXPRESSLY DISCLAIM ALL LIABILITY FOR PRODUCT DEFECT OR FAILURE, CLAIMS THAT ARE DUE TO NORMAL WEAR, PRODUCT MISUSE, ABUSE, PRODUCT MODIFICATION, IMPROPER PRODUCT SELECTION, NON-COMPLIANCE WITH ANY CODES, OR MISAPPROPRIATION. WE MAKE NO WARRANTIES TO THOSE DEFINED AS “CONSUMERS” IN THE MAGNUSON-MOSS WARRANTY-FEDERAL TRADE COMMISSION IMPROVEMENTS ACT. THE FOREGOING EXCLUSIONS OF IMPLIED WARRANTIES DO NOT APPLY TO THE EXTENT PROHIBITED BY LAW. PLEASE REFER TO YOUR LOCAL LAWS FOR ANY SUCH PROHIBITIONS. Neither We nor HnB assume any responsibility, and shall not be liable for, any damages to, or viruses or other malware that may infect, your computer, telecommunication equipment, or other property caused by or arising from your access to, use of, or browsing the Website or your downloading of any materials, from the Website. IN NO EVENT WILL WE, HnB, OUR RESPECTIVE OFFICERS, DIRECTORS, EMPLOYEES, SHAREHOLDERS, AFFILIATES, AGENTS, SUCCESSORS, ASSIGNS, RETAIL PARTNERS NOR ANY PARTY INVOLVED IN THE CREATION, PRODUCTION OR TRANSMISSION OF THE WEBSITE BE LIABLE TO ANY PARTY FOR ANY INDIRECT, SPECIAL, PUNITIVE, INCIDENTAL OR CONSEQUENTIAL DAMAGES (INCLUDING, WITHOUT LIMITATION, THOSE RESULTING FROM LOST PROFITS, LOST DATA OR BUSINESS INTERRUPTION) ARISING OUT OF THE USE, INABILITY TO USE, OR THE RESULTS OF USE OF THE WEBSITE, ANY WEBSITES LINKED TO THE WEBSITE, OR THE MATERIALS, INFORMATION OR SERVICES CONTAINED AT ANY OR ALL SUCH SITES, WHETHER BASED ON WARRANTY, CONTRACT, TORT OR ANY OTHER LEGAL THEORY AND WHETHER OR NOT ADVISED OF THE POSSIBILITY OF SUCH DAMAGES. THE FOREGOING LIMITATIONS OF LIABILITY DO NOT APPLY TO THE EXTENT PROHIBITED BY LAW. PLEASE REFER TO YOUR LOCAL LAWS FOR ANY SUCH PROHIBITIONS. IN THE EVENT OF ANY PROBLEM WITH THE WEBSITE OR ANY CONTENT, YOU AGREE THAT YOUR SOLE REMEDY IS TO CEASE USING THE WEBSITE. IN THE EVENT OF ANY PROBLEM WITH THE PRODUCTS OR SERVICES THAT YOU HAVE PURCHASED ON OR THROUGH THE WEBSITE, YOU AGREE THAT YOUR SOLE REMEDY, IF ANY, IS FROM THE MANUFACTURER OF SUCH PRODUCTS OR SUPPLIER OF SUCH SERVICES, IN ACCORDANCE WITH SUCH MANUFACTURER’S OR SUPPLIER’S WARRANTY, OR TO SEEK A RETURN AND REFUND FOR SUCH PRODUCT OR SERVICES IN ACCORDANCE WITH THE RETURNS AND REFUNDS POLICIES POSTED ON THE WEBSITE. Choice of Law; Jurisdiction.These Terms and Conditions supersede any other agreement between you and HnB to the extent necessary to resolve any inconsistency or ambiguity between them. The Website is administered by HnB from its offices in California. These Terms and Conditions will be governed by and construed in accordance with the laws of the State of California, without giving effect to any principles of conflicts of laws. Any action seeking legal or equitable relief arising out of or relating to the Website shall be brought only in the courts of the State of California or the United States District Court for the District of California. A printed version of these Terms and Conditions shall be admissible in judicial and administrative proceedings based upon or relating to these Terms and Conditions to the same extent and subject to the same conditions as other business documents and records originally generated and maintained in printed form. Coupons cannot be used on sale items or in conjunction with other coupons and/or discounts, unless otherwise stated. If you do not understand any of the foregoing Terms and Conditions or if you have any questions or comments, we invite you to call our customer service department at 1 (407) 331-6292.